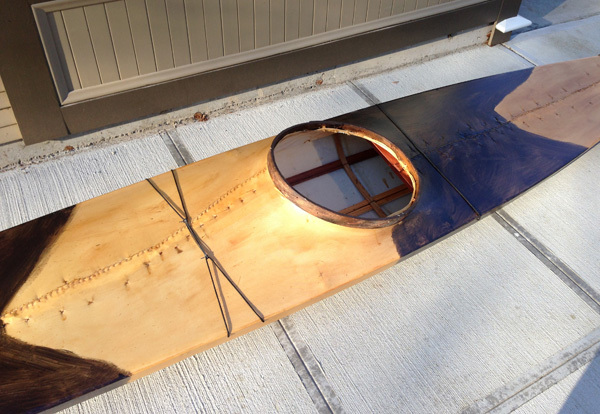 Avva's Qayaq: A Replica of an Iglulingmiut-Aivilik Kayak from the 1920s. Avva, spelled Aua in the Fifth Thule Expedition texts, was a shaman who figured prominently in the papers of the Expedition members, most notably in Knud Rasmussen's "Across Arctic America." Peter Freuchen collected his kayak in 1923, and Therkel Mathiassen notes that it was the last kayak in the community. Avva is the main character in the incredibly powerful film titled "The Journals of Knud Rasmussen" (viewable on-line). 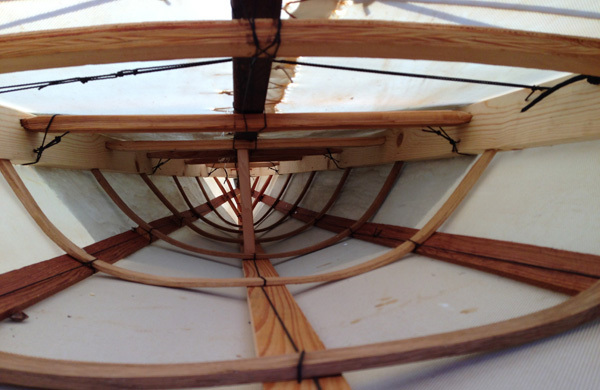 The kayak measures 18'3-1/2" long and 23-1/4" wide. It is a rare example of a full-size Iglulingmiut/Aivilik maritime kayak, and may be the last in the world (another example, depicted in Adney & Chapelle's "The Bark Canoes and Skinboats of North America" [fig. 195], has since been lost). Avva's kayak, replicated. The original is covered with alternating light and dark sealskins.